Many of my patient's are a little shocked when I talk to them about doing blood draws or having labratory tests run. In the state of WI chiropractors are not simply "back" doctors. I deal with a lot of conditions in my practice many that would seemingly have nothing to do with the back. Our licensing in the state of WI clearly allows us to do blood draws for diagnostic purposes. In some cases it is absolutely essential in getting a clearer clinical picture, espescially when there may be concerns of nutritional insufficiency or concerns of more advanced pathology. Chiropractors have a duty to diagnose just like any other practicioner. For many people who have HSA or FSA accounts it can often be cheaper to have us do your lab work then going to your medical doctor. So if you are due for a lipid panel or some other laboratory test shop around and see if you can get it done cheaper. A couple of recent studies have demonstrated some concerns when trying to control cholesterol levels. We need both HDL and LDL cholesterol in our bodies it is essential to human life. It is found in all cell membranes and forms many of the chemical messengers(hormones) that are utilized by our bodies. In general high cholesterol does not cause symptoms and has become a drug that is easily prescribed with little to no concern for actual need. In fact some pharmaceutical companies have proposed the prescribing of these drugs to people who have no cardiovascular risk factors. This is a deeply disturbing. These drugs are not without safety concerns. Some cause conditions that lead to kidney failure and eventual death. In a new study that compared the drug Zetia to Naispan (basically a form on niacin which is a B vitamin). demonstrated that Naispan was better at reducing LDL, increasing HDL, and reducing future cardiovascular risk. In fact the research actually showed that Zetia increased future risk of cardiovascular events. Another review study in the journal of American Medical Association (JAMA) showed that there was little consensus amongst medical professionals for what an appropriate level of cholesterol is. The studies that were reviewed also demonstrated considerable amounts of "Industry Bias". Essentially meaning that those running the studies were representatives of the various drug companies. Make sure you explore all of your options when it comes to high cholesterol and make sure you make changes under the direction of a qualified professional. Cholesterol Concerns: Managing Cholesterol Naturally!! Recently I had someone ask me why we use the slogan Life is Motion at our Chiropractic clinic. I had to think about this for a while, coming from a patient's viewpoint. To me as a Chiropractor it is quite clear what it means, but I feel that I need to do a better job of explaining this to patients. Life is motion. Why? I remember in one of the first natural science classes that I had in school, way back in the middle school days, we were taught that life had certain characteristics. In order for something to be considered alive it had to match most of these characteristics. The characteristics included, homeostasis (self-regulation), reproduction, some form of metabolism (the process of changing energy), organization (cellular divisions), response to stimuli, and growth. All of these things require motion of some sort or another to complete. Therefore without motion you would not have life. Life is motion. That is not the only thing that comes to mind when I say life is motion. In order to sustain life, we must set ourselves into motion. We must work to make a living, exercise to remain healthy, and move to get ourselves from place to place. Once again we see that life is indeed motion. As a Chiropractor I focus on restoring proper motion to the spine and the body. What happens when this motion is not working? This reminds me of a gruesome Rat study that I read about in a peer-reviewed journal. In this study they surgically restricted the motion in a rat's spine. 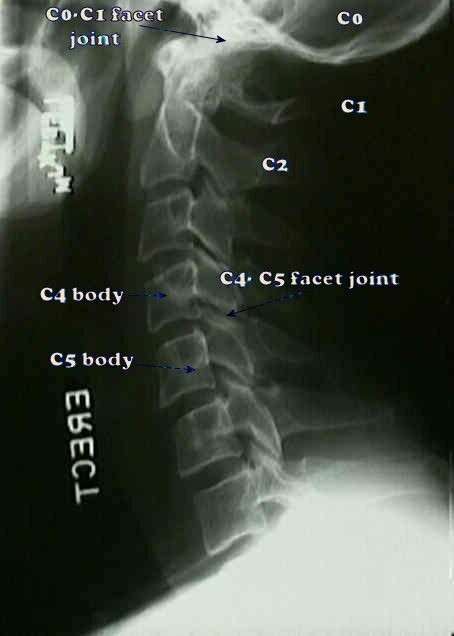 They noted that degeneration of the spinal joints occurred quickly, after this had been done. Chiropractic adjustments help to restore motion to joints, in an attempt to prevent this sort of degeneration. Which neck spine is probably suffering from loss of proper motion? Which spine looks more "Alive"? Recently I had someone ask me why we use the slogan Life is Motion at our chiropractic clinic. I had to think about this for a while coming from a patient's viewpoint. To me as a chiropractor it is quite clear what it means, but I feel that I need to do a better job of explaining this to patients. Life is motion. Why? I remember in one of the first natural science classes that I had in school, way back in the middle school days we were taught that life had certain characteristics. In order for something to be considered alive it had to match most of these characteristics. The characteristics included, homeostasis(self-regulation), Reproduction, some form of metabolism(the process of changing energy), Organization(cellular divisions), response to stimuli, and Growth. All of these things require motion of some sort or another. Therefore without motion you would not have life. Life is motion. That is not the only thing that comes to mind when I say life is motion. In order to sustain life we must set ourselves into motion. We must work to make a living, exercise to remain healthy, and move to get ourselves from place to place. Once again we see that life is indeed motion. As a Chiropractor I focus on restoring proper motion to the body. What happens when this motion is not working? This reminds me of a gruesome Rat study that I read about in peer-reviewed journal. In this study they surgically restricted the motion in a rat's spine. They noted that degeneration of the joints occurred quickly after this had been done. Chiropractic adjustments help to restore motion in the joints in an attempt to prevent this sort of degeneration. Which spine is probably suffering from loss of proper motion? A. or B. Which spine looks more "Alive"? A. or B. We are constantly being bombarded with news about the flu. We are even being told that we should avoid handshakes. Maybe we should just wrap ourselves in isolation bubbles and eleminate all direct contact with other human beings. To me this is simply fear driven marketing. Realistically the flu is a rather benign infection. People rarely die from the flu. The CDC says that approximately 36000 die annually from seasonal flu. The cdc has only 593 confirmed deaths as of Sept 10. That may seem like a lot of people but that is out of a population of over 300,000,000. That is less then 0.00019% of our population. In my opinion there are a lot situations that pose a much greater threat to our countries well-being. The amount of money that our country is spending fighting the flu seems ridiculous when you consider the real threat that it poses. Believe it or not, our bodies are supposed to experience occasional sickness. There are easy ways to boost immune function. Vitamin C, zinc, Vitamin D, increased fluid intake, reduce stress, exercise and get adjusted by a chiropractor. Beware of a poorly tested mass-produced vaccination that may or may not be effective. Make sure to cover your mouth when you cough and sneeze and stay home if you are sick. Wash your hands routinely throughout the day. These are simple things that you can do now that are proven to be effective in preventing the flu. Erickson Family Chiropractic will be hosting a free presentation about chiropractic on Monday June 29th at 6:30PM. Come and learn more about chiropractic care and what it can do to benefit you and your family. Refreshments will be served. The presentation will consist of a talk with powerpoint slides and a period for one on one question and answer with the doctors. This is a question that many of us have thankfully allready answered, but for those who haven't I would like to tell you how I decided my answer. When I started undergrad I, like many others, had no idea what I was going to do with the rest of my life. I have always felt compassion for the human condition and I knew that I wanted to help. I just didn't know in what form that would be. I thought about some of the different professions that help to alleviate human suffering. Would I choose nursing, dentistry, chiropractic, medicine, maybe psychology? I had no idea which one to choose. A mentor of mine at the time helped me with this decision. He asked me to think about what had helped me the most in my personal life. This little piece of advice is what pushed me to the path that I took. When I was 11 or 12 I began to experience extremely painful headaches. These headaches were so painful that I would have problems concentrating in the classroom and they often ended with me going home early from school. Medicine did not help me overcome this problem, chiropractic did. My mother had heard that chiropractic care can help with headaches and decided to take me into the chiropractor that she had been seeing. After a short course of treatment I noticed fewer and fewer headaches. Within 2 weeks I had gone from having several in a day to having none at all. This is why I decided chiropractic was right for me. Chiropractic treatments have served me well and continue to do so. Chiropractic is not just about backs. Chiropractic care is about maintaining homeostasis(balance) in the body. Chiropractic care helps to create optimum communication between the tissues of the body and allows the body to heal itself. So make a choice and see how chiropractic care can benefit you. The build out is progressing nicely even though we have run into a couple of snags. We are unfortunately changing our opening date to May 11, 2009. Our open house will still be on Saturday May 30, 2009. A recent Survey performed by consumer reports helped to reiterate what chiropractors have known for years. Chiropractic is the best and should be the first option for low back pain. In a survey of 14,000 U.S. consumers Chiropractic was voted number one in treating low back pain. These same consumers also pointed out that they were far more likely to be satisfied by seeing a chiropractor (59%) then seeing their primary care physician (34%). With something like 80% of adults in the United States experiencing low back pain at some point in their lives it would seem that chiropractic care should be the first option. Too often chiropractic care is not the first choice for low back pain. Whether this be from the unwillingness of medical doctors to properly refer or just from simple lack of understanding, it needs to be fixed. How many uneeded surgeries and instances of over medicating could be eleminated if chiropractors were referred to when dealing with cases of low back pain.